Chang Son is a commune of Thach That district (30km northwest of Hanoi center). This is also a craft village famous for its beautiful and meticulous wooden and bamboo fans. To make fans, artisans in Chang Son perform a long process with various steps from framing, fan-fitting to drying and folding. Partisans of Chang Son makes fans not only from wood and bamboo for daily life, but also of other valuable and durable materials for other purposes or to meet higher demands of people in modern life. They even design sophisticated fans with special pattern sculpted and embroidered on them for festivals, fashion shows, exhibitions or souvenirs. 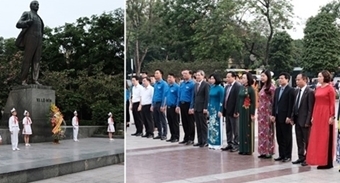 Artisans of Chang Son are the people who created the giant 15-meter fan to celebrate the 1000th anniversary of Thang Long -Hanoi in 2010. Currently, Chang Son also becomes an attraction for international tourists. Visiting Chang Son, tourists can understand more about the history and culture of the village and life of local people there. They can learn how to make a wooden fan. 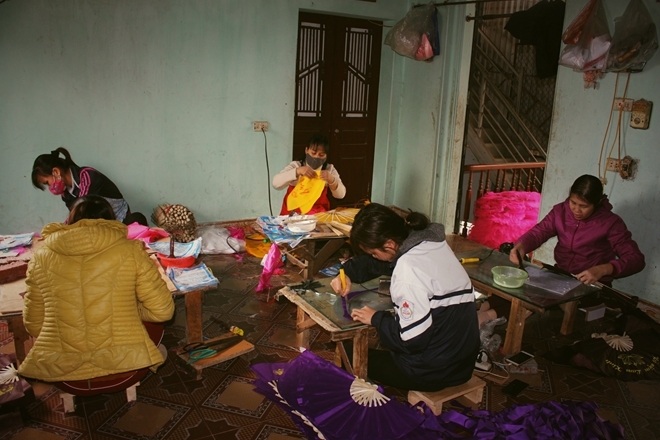 Chang Son people said that turning a traditional craft village into a tourist attraction has helped them earn more incomes and popularize the image and culture of Vietnam to international friends. Today, Vietnamese people have modern electric devices to make them cool in summer but wooden hand fans still have their own historical and aesthetic values that no technological products can replace them.